ICELAND - CIRCA 2018 - A bubbling mud pool in a geothermal area along a road near Myvatn, Iceland. 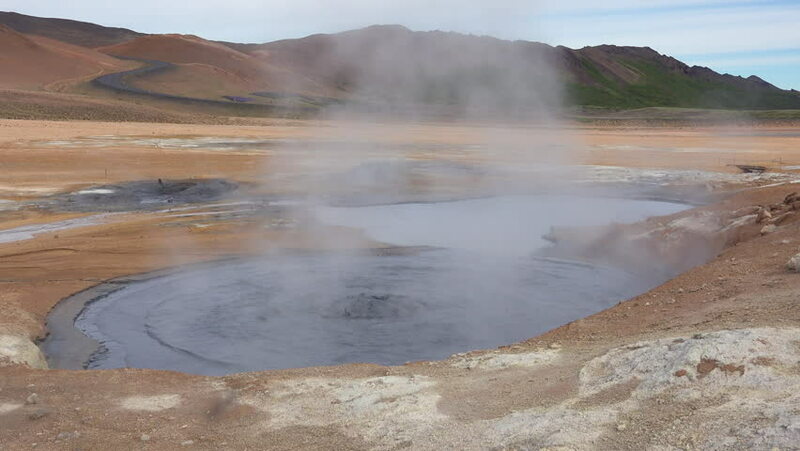 hd00:14Bubbling mud pot in geothermal valley Hverarond, located near Reykjahlid village in north of Iceland, Europe. Full HD video (High Definition). hd00:14Black sand beach of Grenada Bay on the northeast side of Grenada, West Indies, Caribbean. hd00:23Icelandic geyser vapors and picturesque nature. Slow Motion Footage.